We came across this great Australian-made product that we thought we'd share. myz hats for kids are hand made in Melbourne using only the highest quality sustainable fabrics. The unique designs will really make a statement in the playground and since they're designed and made in Australia they'll definitely provide excellent sun protection. Check them out here: www.myzthelabel.com.au. We're always looking to improve our high quality Zoomy products. We really value the feedback our customers give us and use it to make our products better. A few of our customers reported that the back brake on their 2 wheel scooters was snapping off. For any customer this happened to, we sent them a new brake so they could replace the broken one. We also took steps to insure this didn't happen again, and we're pleased to say that we've recently strengthened the back brake by adding a piece of steel to the brake. All 2 wheel scooters we ship from now on will have the upgraded brakes and we'll continue sending new brakes free of charge to anyone who needs one. Is there a thing as too much information? If ever you have a parenting or child-related question, there is definitely no shortage of information available. But the tough thing for any parent (new or not) is how to decipher the good information from the bad (or factually incorrect). To help sort through the barrage of information available online, Zoomy Leisure has put together a list of our top 10 recommended Facebook pages and websites for parents. They get our tick of approval for being full of useful information, run by insightful parents and professionals as well as being well worth the read! Also, be sure to search Facebook for online parenting groups in your local area. They are not only a great online resource but are also fabulous ways to meet other nearby parents. Kidspot - everything for the busy mum in one place! Real life stories, recipes, thing to do, parenting tips, school advice and heaps more. Find Kidspot on Facebook. Practical Parenting - a fabulous site with articles, advice and products for sale for kids of all ages from babies through to teens. Find Practical Parenting on Facebook. Raising Children - this is an information-based site with heaps of useful and informative articles and videos from illnesses throughout to breastfeeding attachment and behavioural issues. Find Raising Children on Facebook. Be A Fun Mum - a great blog aimed at celebrating differences in motherhood and parenting and finding the joy in everyday moments. Find Be A Fun Mum on Facebook. The Organised Housewife - if ever there was a more entertaining and informative blog on maintaining your family home then this is it! Its housework made fun and easy. Find The Organised Housewife on Facebook. 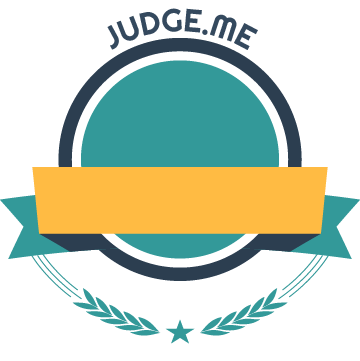 Bubhub - A longstanding site in the parenting platform, Bubhub shares a host of useful info on every stage of the parenting journey. Find BubHub on Facebook. Healthy Kids - a site devoted to the health and well being of our children with nutritional facts and figures, tips and recipes for parents, school canteens and the food industry. Find Healthy Kids on Facebook. Mouths of Mums - Real reviews from real mums about anything and everything parent and child elated you could think of! Find Mouths of Mums on Facebook. Ella's List - A comprehensive guide to events and activities happening all over the country to entertain kids and families. Its family inspiration daily! Find Ella's list on Facebook. Common Sense Media - provides independent reviews, age ratings, and other information about all types of media including TV shows, video games, movies and apps. Has your child ever asked you if they could play Fortnite or if you could install a new app for them on your phone? Then Common Sense Media is a must visit. Find Common Sense Media on Facebook. There is a host of good information out there no matter what issue or topic you are hunting for. Sifting through it all and finding the right resources that suit you and your family is the next step. We hope the above sites give you a good starting point! Brought to you by Zoomy Leisure, an Australian online store focused on bringing you be best outdoor products for your kids. Should you take your scooter travelling with you? The answer is simply, yes! As all parents know, travelling with kids can be quite an experience. The truth is, you never know what you are going to get. A seamless journey with minimal traffic, happy kids and happy parents. Or a trip of the depths of bad places with copious amounts of traffic, grump kids and even grumpier parents. Sounds like fun right? Well, we have the top 10 reasons why you should take the scooters with you on your next road trip. They are compact. When setting off on a road trip, space is always an issue. Cars can only fit so many toys, food, luggage and sports equipment.The great thing about scooters is that they can either fold or be quickly and easily taken apart, therefore are nice and compact, even for the busiest of family cars. If you are travelling by air, scooters (especially the mini scooter) are easily taken apart and small enough to be packed in a suitcase. They are light. Once again, the very nature of scooters make them a great travelling companion as they won't load down your car with excess baggage. They are a good pit stop option. Make pit stops a breeze and bring out the scooters to stretch those legs. Long car rides can be tough on little legs that are used to running and moving all day. A quick 10 minute scooter stop and the kids will be feeling refreshed for the next leg of the journey. On-hand entertainment. Once you have arrived at your destination, scooters are an instant activity while you unpack. Those lazy afternoons you'd like to spend relaxing, the kids can scoot off for an afternoon of easy, free activity. Social interaction. Nothings says meeting new friends like bonding over scooters. If there are kids where you are heading, no doubt there will be other scooters in tow, which means instant friends for the kids. It gets kids off screens! Having a scooter on hand means your kids will be encouraged to get out more. Instead of staring at a screen for the afternoon, kids can head off for a scoot and get in precious exercise to get those bodies moving. All round activity. Some days may be gloomy or slightly overcast to head to the beach or the pool. Scooters can pretty much be used in most weather conditions (unless torrential rain is in sight!) So, if the clouds have come over and the kids are antsy, scooters are on tap ready to go. They help little legs! Active family holidays can include long walks and sightseeing, which although great for the parents, can get tiresome for the kids. Scooters offer a great alternative to walking for kids that will help extend the length of those walks. 10. Light traffic areas make great scooter parks. Holiday destinations such as caravan parks and resorts often have very light traffic and many pathways, which offer great scooting areas for kids. It's a safe and secure and enclosed place for the kids to scoot. 11. The trip home. Scooter pit stops are a great incentive on the ride home when everyone is a little tired and over being in the car. Nothing says happy, quiet kids than the promise of a scooter with an ice cream at the next stop. So if you are sitting on the fence about taking your scooter on your next road trip, fold or take it apart and throw in - you won't regret it! There is no doubt that entertaining kids at birthday parties is no mean feat. Whether it be at your home, at an indoor play centre or an outdoor activity, kids certainly have energy to burn. So, why not host a party where the main aim is for kids to be active and having fun all at the same time! For those active kids who like to get out and about on their scooter, nothing could be better than having a scooter party with all your mates! It ticks all the boxes - active, fun and simple! Secondly, make it clear on your invitation that it is a scooter party and to BYO scooter! If everyone doesn't own a scooter, bikes are a great substitute. If both are lacking, kids can easily take turns throughout the day. That way it gives the little legs a rest! On the day, have some scooter games up your sleeve. Or, if the kids are young, the pure act of scooting is simply enough! For the older kids, you could host a scooter relay, scooter races and trick displays. The best part is that your child and their mates are sending an active day outside celebrating their birthday. It encourages exercise and being active and enjoying healthy activities with their friends. Without even knowing it, you are helping to build positive attitudes towards their health and fitness through fun. Better yet, parents will be stoked to receive their child back at the end of the party nicely worn out. So next time you're wondering what birthday party to throw your child, get right back to basics! Host an active, outdoors scooter party - it'll be the best and easiest party you've ever hosted! There is no doubt that there is an incredible amount of information out there on raising happy and healthy kids. What's also to be noted is the degree of information and advice available - from gluten-free to sugar-free and grain-free diets to recommended amounts of screen and sleep time. However, one true fact remains undeniable. That is the effect of early exercise in young children and the benefit it has in creating healthy, well-adjusted kids that can grow into active adolescents and beyond into adulthood. Getting your kids active and outside can make a huge impact on their little minds and bodies. Exercise in kids is also different to what it may be in adults. We tend to think of gyms, running, swimming or organised sports for older kids and adults. But for young kids, it can be a simple as riding a bike, scooting around the block or going for a walk or run to the park or playing tag. It just needs to get them up and about and their little hearts pumping. It builds their muscles and bones - Exercise is vital for the development of young muscles and bones. It increases their strength and flexibility. It lifts their levels of happiness and self esteem - exercise causes our bodies to produce endorphins which give us a natural feeling of elation. These chemicals interact with the receptors in your brain to reduce your perception of pain. What better way to create happy kids than to exercise! It seems almost too good to be true. It can be a form of bonding - exercising as a family is a great time to bond. Going for a family bike ride of an afternoon after school or a scooter session in your local park brings family members together with positive effects on your bodies and minds. Works against childhood obesity - exercising gets kids moving and off the couch! Australia has a childhood obesity problem stemming from the increased amount of screen time and decreased physical activity. Replace screen time with some scooter time for a happier and healthier family! It helps their brain function - regular physical activity has been linked to better concentration and academic results in the classroom. It becomes part of their lives - active kids have a greater likelihood of becoming active adults, which in turn will lead to a healthier nation. Being active as an adult is not seen as a chore, but as a way of life. So next time your kids are glued in front of the TV or ipad, grab them and head for a family bike ride or scooter around town. Their little bodies will thank you for it! The Gold Coast is the home of sun, surf and sea - but it is also jam packed with great scooter and bike tracks for kids! These Gold Coast scooter and bike trails have the added benefit of seaside views and ocean breezes combined with an epic choice of cafes and restaurants nearby for an after-scooter and bike ride treat. 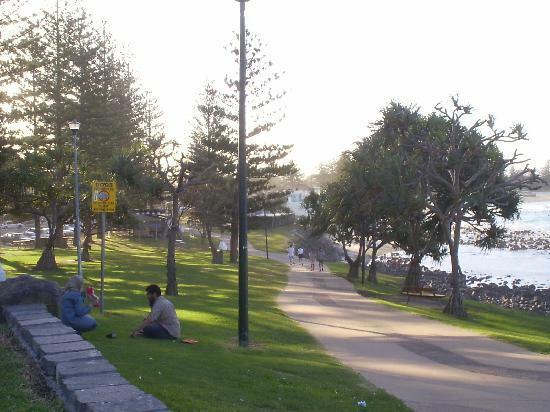 There is a flat bike, scooter and walking track that runs from North Kirra all the way through to the southern tip of Coolangatta where it connects to Rainbow Bay. Every weekend and after school you'll find families and active enthusiasts alike, pounding the pavement and enjoying the sun and ocean breezes. It's all completely flat and easy for the kids to navigate. If there is one place that will delight kids of all ages it is the Broadwater Parklands. Not only are there multiple scooter and bike tracks, nicely tucked away from the main highway, but it is also surrounded by a cafe for the parents, huge playgrounds and activities as well as water play areas and even a broadwater equivalent of a wet n wild theme park. You could spend all day here. Surfers Paradise is the tourist hot spot on the Gold Coast, but it is also home to a long scooter, bike and walking track that stretches from the heart of Surfers Paradise right through to Main Beach. The kids can definitely get a great little workout with lots of cafe options along the way with the ocean right there for a dip to cool off. Yet another family friendly park that has the added benefit of teaching kids road safety rules. The Park at 59 Galleon Way in Currubin is the perfect way to spend an active morning, then sit back and relax with a family picnic in the lush surrounds. Another top scooter, bile and walking track is along the Burleigh foreshore. With parks dotted along the way, cafes on every corner, picnic grounds, toilet facilities, direct beach entry and even exercise equipment stations, this track has something for everyone. Zoomy Leisure is an Australia online store selling a range of 2 and 3 wheel kids scooters for kids from 2 to 10 years old. Please visit www.zoomy.com.au for more information. Perth is setting the benchmark with innovative, custom scooter and bike tracks for kids. The below are just a few options for kids of all ages in Perth to get a great scooter or balance bike experience without being overrun by big crowds and older riders. Better yet, there is playground equipment, shelters and nice spots to enjoy the views for Mum and Dad. Kids of all ages love Wembley Park with a built in scooter track surrounding a playground equipped with heaps of climbing features, trampolines and a flying fox. It is adjacent to large sports fields to then expel dome more energy with a game of soccer or just running around! The park and scooter track at Amberton Estate in Eglinton is another favourite amongst Perth locals. With a scooter rack made just for scooters with lots of gentle slopes and mounds ideal for scooters. Future racetrack riders get ready! The Pitstop Playground at Banksia Grove features a full scooter and balance bike, two way track that runs around the playground. Complete with road markings and twists and turns for scooter and balance bike riders to strut their stuff. There are even built-in chalkboards to record your quickest lap time. Kings Park is a definite family favourite! Spanning over 400 hectares, there are multiple spots to stop and enjoy everything this park has to offer. Choose from playgrounds, BBQ areas, a tree top walk, botanical gardens and lots of wildlife along the way. Bike hire is also available. Rendell Park in Koondoola is another great park with a custom scooter and balance bike pathway complete with road traffic signs. It sits amongst the Koondoola Regional Bushland so a nature walk after the park is another must-do. Are helmets compulsory when riding a bike or scooter? Mandatory Helmets - are they to stay? Australia is one of the first countries to implement mandatory bicycle helmets. Research has shown that helmets reduce head injuries by up to 74% in motor vehicle crashes (Transport NSW) However, despite the research and their effectiveness in protecting our heads when riding, helmet laws continue to be a matter of debate in Australia. Research undertaken by the Bicycle Network, Australia's largest bike-riding organisation has found that 60% of cyclists believe they should be able to wear, or not wear a helmet when they ride. They believe the decision should be theirs and theirs alone. Not only that, they state that if given the choice, more people would ride a bike if helmets were not mandatory. Their research stated 30% of people would ride more often if helmets were not mandatory. The debate continues, but for now, helmets are here to stay. Australia has stringent helmet safety tests, and all helmets must display a sticker or label saying they have met these guidelines. You'll find a sticker stating they have met the Australian and New Zealand standard (AS/NZS 2063). It is illegal to sell a helmet in Australia that does not conform to AS/NZS 2063. Be wary of this when choosing a helmet. Cyclists must wear a helmet at all times, unless you have medical, cultural, or religious reasons not to. Cyclists under 17 must wear a helmet at all times. Cyclists over 17 are only required to wear a helmet when riding on the roads but are not required on footpaths. For now, mandatory helmets are here to stay. Time will tell if the mandatory helmets regulations are reviewed or not. But for now, wear your helmet or cop a hefty fine. When it comes to scooters, the Daily Telegraph published an article in 2015 reporting that "In the 12 months leading up to the article article, 80 kids were admitted to Westmead hospital with serious head injuries. 75% of the scooter riders were not wearing helmets." Read more about it here. If you need a helmet for your child, Zoomy sells very well priced helmets that are fully AS/NZS 2063 tested and certified. Purchase Zoomy scooter, bike and skateboard helmets here. There are a few things to consider when it comes to the decision on whether to purchase a two or three wheel scooter. Unlike bikes whereby training wheels are used as a learning tool, three wheel scooters offer a completely different riding experience to a two wheel scooter. A three wheel scooter is not simply a training tool prior to moving up to a two wheel scooter. They offer a very different and unique scooting experience of their own. Understanding the way that a three wheel and a two wheel scooter steers is important when deciding which scooter will best suit your child. It will also help in your understanding in the way in which they scoot, as the steering mechanisms are very different. The two wheel scooter is great for kids who have developed their confidence and balance on a scooter. With a two wheel scooter, you turn the handles in the desired direction you wish to go. The steering mechanism of a two wheel scooter is much like that of a bike. So if your child has learned to ride a bike, then the steering mechanism of a two wheel scooter will be familiar. An important factor to remember with a two wheel scooter is learning to adapt to the steering mechanism correctly and confidently. If the wheels are turned too sharply on a two wheel scooter, it will result in a very quick turn, or even in the scooter falling over. This can be particularly dangerous for young kids who may not have yet perfected the turn of a two wheeler, especially when travelling downhill at speed. If a child panics, they tend to naturally turn the wheels sharply and fall. So it is essential to ensure your child is old enough, and skilled, to manage the turn mechanism. The three wheel scooters are self-standing scooters with a lean-to-steer mechanism which delivers a fairly dynamic scooter steering experience. It is relatively easy to pick up a three wheel scooter and ride, however with practice, the three wheel scooter can offer a rather intricate and dynamic ride. The lean-to-steer allows children to lean in the direction they wish to turn and the scooter's wheels will turn in that direction. It helps to develop coordination and confidence before they advance to tighter and faster turns and carves. The three wheel scooter has been likened to snowboarding, surfing and skating in the similar way you lean your body weight to turn. So there you have it. A quick and simple guide to the difference between how to steer a two and three wheel scooter. With a little practice and confidence, your child will pick up their newfound skill quickly and you won't be able to stop them.